Comprehensive for compliance. Customizable for security. Customizable HIPAA privacy and security policy templates to help your organization protect patient data and comply with the HIPAA Privacy, Security, and Breach Notification Rules. Your data is one of your most important assets. Without proper policies in place, your employees may do things to place your data in jeopardy. SecurityMetrics HIPAA privacy and security policies help you with correct documentation on security practices, processes, and policies to protect your organization from data theft and achieve compliance with HIPAA regulations. Our policies include a Business Associate Agreement template to help you and your BAs stay protected. A policy is only as good as its enforcement. As you implement, share, and monitor privacy and security policy guidelines throughout your organization you may run into questions.  SecurityMetrics templates are customizable to match your organization, this helps ensure all necessary points are addressed and you are implementing compliance mandates correctly. SecurityMetrics support representatives work with you to ensure understanding and proper policy implementation. Your privacy and security policies need to be reviewed on a regular basis to ensure they are updated with changes in your business. This also helps ensure your employees don't forget the important policies and procedures. SecurityMetrics is available to periodically help you review policies and revise when necessary. All organizations have different processes used to handle, store, or transmit sensitive patient data. SecurityMetrics offers flexible policy templates that allow you to customize privacy and security policies to address specific processes and risks identified during your organization's risk analysis. Compliance with the HIPAA standard requires a number of privacy and security policies that address processes throughout your organization. 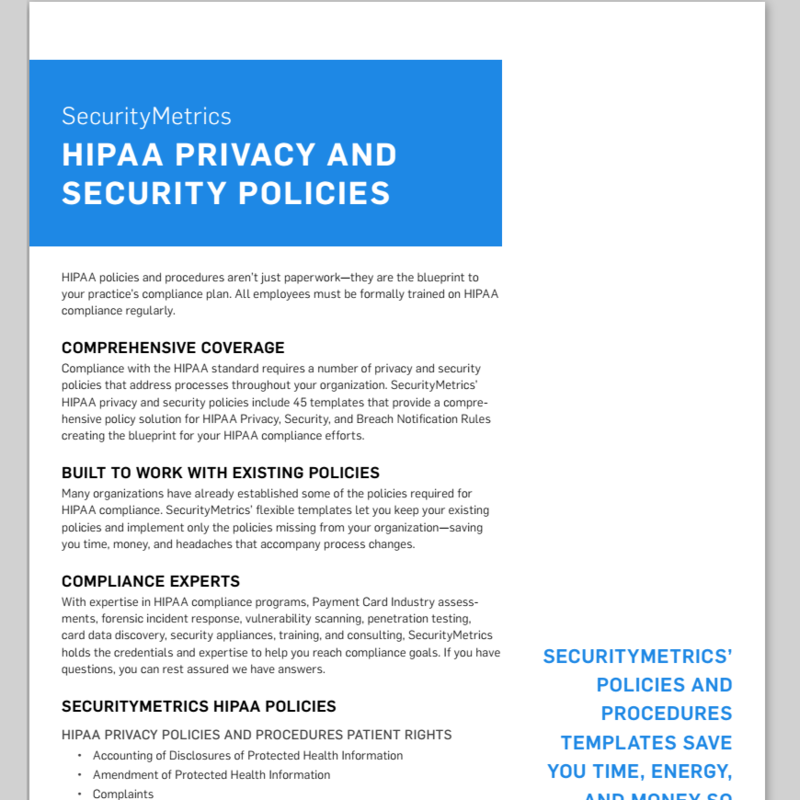 SecurityMetrics HIPAA privacy and security policies include 45 templates that provide a comprehensive policy solution for HIPAA Privacy, Security, and Breach Notification Rules creating the blueprint for your HIPAA compliance efforts. Many organizations have already established some of the policies required for HIPAA compliance. SecurityMetrics' flexible templates let you keep your existing policies and implement only the policies missing from your organization—saving you time, money, and headaches that accompany process changes. We understand that HIPAA compliance is just part of the path toward the ultimate destination of data security. SecurityMetrics policies are designed with a security focus that will help you comply with the HIPAA mandate and create measurable improvements to patient data security. Defining expectations and responsibilities with business associates (BA) is crucial for HIPAA compliance. Along with our Business Associate Agreement (BAA) template we provide additional documents that outline the HIPAA requirements for BA, whether a BAA is needed and suggestions on implementation of the policy. SecurityMetrics updated me, we reviewed office policies, and they gave me educational advice for the practice I manage. They spent a great deal of time with me so I felt confident and comfortable. I feel they went above and beyond. Thank you SecurityMetrics! SecurityMetrics has been invaluable in guiding our office in the process of HIPAA compliance along with PCI compliance. Every team member has been professional, knowledgeable, and prompt with service. An exceptional experience all around!